You’ve probably heard already, but it’s “cold” in Texas right now! By cold I mean 65 degrees, and we’re all ripping our sweaters off their hangers and making pumpkin vignettes on our porch. And when this happens my mind gets thinking about all the amazing, cozy, warm fall pieces I’m dying to have! 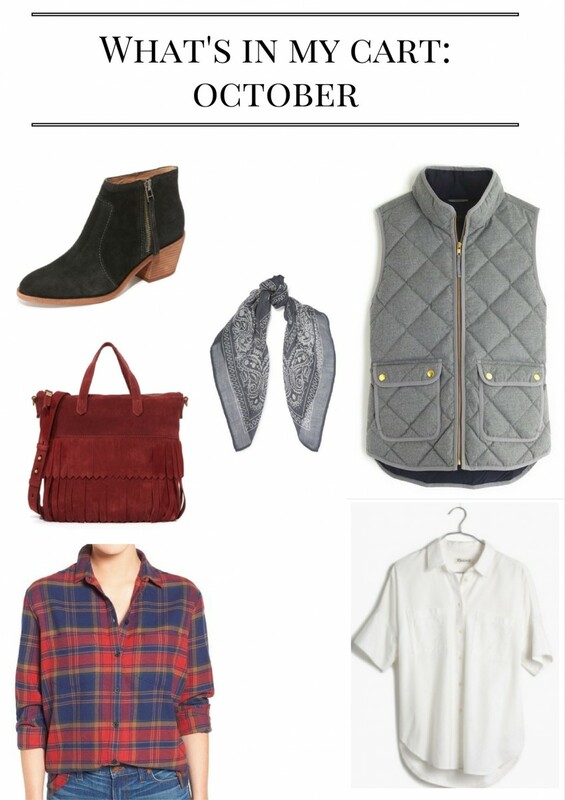 I put this post together to show y’all the pieces I’m interested in and good ones to grab right now in preparation for the actual temperature drops! Ankle booties: I just got this pair of booties at Madewell and haven’t taken them off! They’re low on my feet so they’re not too hot and aren’t the same commitment as a knee-high boot that is so much hotter. And hurry to Madewell because they’re doing an extra 30% off sale items right now!